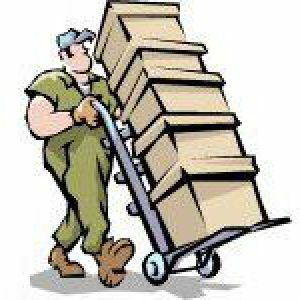 HandTrucksRUs.com – Work Smarter Not Harder with Hand Trucks! Too often customers are looking for assistance in finding the right product for their needs and head right into road blocks. This is especially true in eCommerce. Product specialist are very hard to find when shopping online and you have specific questions about a product you expect to get the answers you need to make an educated purchase. Recently, I was shopping on Amazon for a specific tool. I found it and several other viable options as well. I wasn’t sure about the two that I had narrowed down. I still had questions even after thoroughly reading the descriptions on each. So reluctantly I called Amazon’s customer service to get additional information. I was greeted with a happy and eager representative ready to provide me will all the information I need. After explaining to her what information I was looking for, I found her reading the online descriptions back to me. I explained that I had already read all the information online about the two products I was inquiring about. I was meet with a long pause and now fumbling customer service person who was guessing, and providing her own opinions on what she thought the answers were to my questions. I was confused as to why I was getting vague answers and personal insist to very specific questions. After a while on the phone I kindly said thank you for your help and abandoned Amazon. My search continued to a specific tool website that had both tools that I was comparing. Again, I called the customer service department and reach a gentleman who had full knowledge of both tools and guided me to the best purchase for my application. The online store was a small Mom and Pop website that sold just tools. They didn’t sell trampolines, hammocks, or bird feeders. They sold tools! I knew I was getting the right information from their customer service and felt confident when placing my online order. Although I could have easily have placed the order with Amazon or Walmart who offered the item for less I was happy to give the Mom and Pop website my business because they were there for me to make the right purchase. This hasn’t been my first experience with big eCommerce sites who have minimal knowledge on the products they sell. Product knowledge is essential for making an educated buying decision and should be a part of any brick and mortar or eCommerce store. Much of what customer service was back in the day has slowly faded into the sunset with eCommerce. The feeling you would get when you walked into your favorite store and someone greeted you and asked how could they help you today has disappeared. I get the obvious difference between walking into a store and shopping online but at least when I have a question about a certain product don’t refer me to the catalog. The Steel U-Boat Narrow Aisle Platform Truck with a 1980-lb. capacity is ideal for transporting items in confined areas. Heavy-duty, all-welded steel construction ensures strength and durability. Four 4in. polyurethane swivel casters and 2 rigid wheels allow smooth transport and efficient maneuverability. 60in.L x 16in.W. This appliance hand truck has a load capacity of 1,200 pounds and measures 24 x 17 inches (W x D). (W is width, the horizontal distance from left to right; D is depth, the horizontal distance from front to back.) The cart has a nose plate that measures 24 x 5-1/4 inches (W x D). This appliance cart is intended for use in professional and industrial environments. Preventing a back injury is much easier and cheaper than repairing one. The best way to prevent back injuries in the workplace or at home when moving equipment up and down stairs is having the right hand truck for the job. Stair climbing hand trucks can greatly reduce accidents, property damage, and back injuries. Struggling with heavy equipment when traversing stair is an everyday occurrence for a lot of professionals. Movers, HVAC technicians, and Plumbers regularly have to content with boilers, AC units and large furniture. Having a stair climbing hand truck should be a required tool for any employer who has employees that are faced with large moving tasks. Employee training and the use of proper ergonomic equipment such as a hand truck can help keep back injuries and back pain incidents low. According to the Occupational Health and Safety Administration (OHSA), back injuries at work are second only to hand injuries as the most prevalent in the workplace. Back pain from a workplace injury can have several causes. It can come from lifting a box that is too heavy, or from a slow, constant strain on back muscles, ligaments, and the disks protecting your vertebrae. Tedious movement, such as lifting, pulling, pushing, loading, can eventually cause your back to weaken and become strained. To help prevent such injuries at the workplace or home it is best to use equipment designed to help with the heavy lifting. Hand Trucks are ergonomically designed to assist the user and make moving equipment easier. Take the time to research to right hand truck for your application and ask a hand truck professional about different options that can make decision easier. Hand Truck wheels haven’t changed a lot over the past 15 years. Most are imported from overseas mostly from China and Taiwan. This has been a huge problem for the consumers for years. There have been many recalls and serious injuries as a result. Pneumatic (air) tires have been notorious for not staying inflated, being wobbly, or the bearings just fail rendering the hand tuck useless. Not all pneumatic hand truck tires are the same. There are two main types of construction for pneumatic wheels. You have 2-ply and 4-ply construction, 2-ply not being as strong as the 4-ply. It’s just like buying a cheap pair of tires for your car compared to a more expensive higher quality tire. Most hand truck manufactures put 2-ply tires on their hand trucks for cost savings leaving the consumer with a “cheap” tire on a nice hand truck. 4-ply tires are more expensive but usually last a very long time. It is worth the money spent to ensure that next time you need to use your hand truck for a move that it will perform and not fail on you when you need it most. Solid wheels are great! No worries about losing air, blow outs, or wobbling. Solid wheels will usually hold up the lifetime of a hand truck. With one exception being the bearings that can fall out, pop out, or simply break under heavy use. Most bearings can be replaced for a fraction of the cost of an entire new wheel. But they may not always be available. Another solid wheel for hand trucks is the foam wheel. Foam wheels are puncture proof and have the same characteristic as a pneumatic wheel. They have been gaining in popularity for several years because they are maintenance free which means no worries when you go to use your hand truck. You will pay more for foam tires but it is worth the small investment. Very few consumers read the side walls of a hand truck wheel to see what PLY wheel the are getting. They trust that the hand truck looks good and can hold 800 lbs then the wheels must be great as well. Always, “kick the tires” before purchasing a hand truck. Hand Trucks R Us has a large selection of Bounce House Hand Trucks to suit every need. We hand selected the most versatile hand trucks that will last and stay strong when moving large bounce houses over rough terrain and through yards. Most are made in the USA which means high quality which is a must when running a business and needing to get the job done without breakdowns. If you have any questions on which hand truck will meet your business needs HandTrucksRUs.com has specialist that can answer your questions and supply you with the knowledge to make the best decision for your application.